Harris Corporation (NYSE:HRS) has provided a U.S. Department of Defense customer with the first production units of its Falcon III® RF-330E-TR wideband team radio, the only independently developed and fully compliant solution for the U.S. Department of Defense Rifleman Radio program. Designed with the dismounted warfighter in mind, the RF-330E-TR is smaller and lighter than existing wideband handheld radios yet provides superior battery life and transmission range. The radio quickly connects warfighters operating on the tactical edge into the tactical network for enhanced command and control and situational awareness. The RF-330E-TR offers a built-in display with an intuitive visual interface which simplifies radio configuration and programming, validates network availability, and monitors radio status. The radio has been certified by the National Security Agency for Type-1 information security, the Joint Interoperability Test Command for interoperability and the Joint Tactical Radio System Test and Evaluation Laboratory for Software Communications Architecture compliance. Harris RF Communications is the leading global supplier of secure radio communications and embedded high-grade encryption solutions for military, government and commercial organizations. The company's Falcon® family of software-defined tactical radio systems encompasses manpack, handheld and vehicular applications. 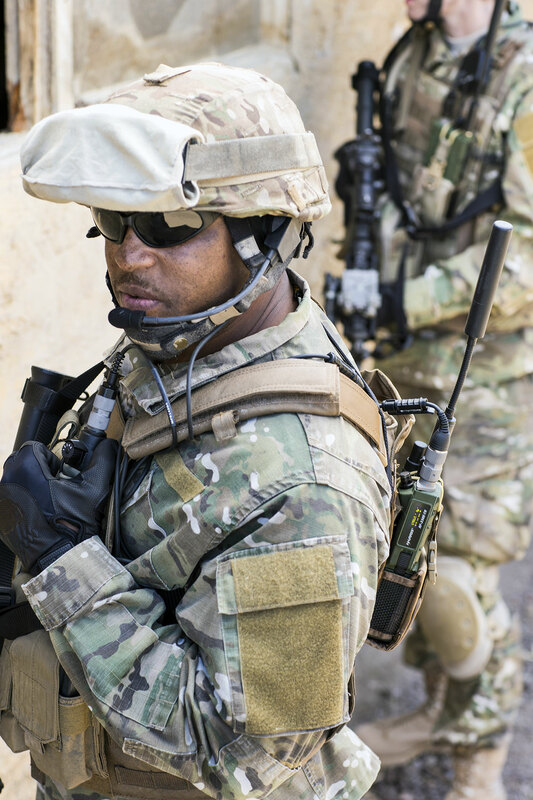 Falcon III is the next generation of radios supporting the U.S. military's JTRS requirements, as well as network-centric operations worldwide. Harris RF Communications is also a leading supplier of assured communications® systems and equipment for public safety, utility and transportation markets—with products ranging from the most advanced IP voice and data networks to portable and mobile single and multiband radios. Harris is an international communications and information technology company serving government and commercial markets in more than 125 countries. Headquartered in Melbourne, Florida, the company has approximately $5 billion of annual revenue and about 14,000 employees, including 6,000 engineers and scientists. Additional information about Harris Corporation is available here.